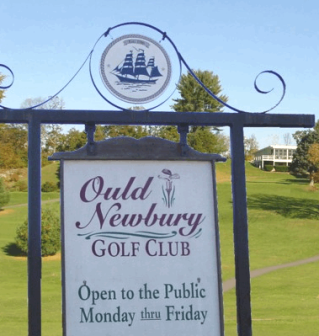 Amesbury Golf & Country Club is a Semi-Private 9 hole golf course located in Amesbury, Massachusetts. Amesbury Golf & Country Club The course was designed by Wayne Stiles. 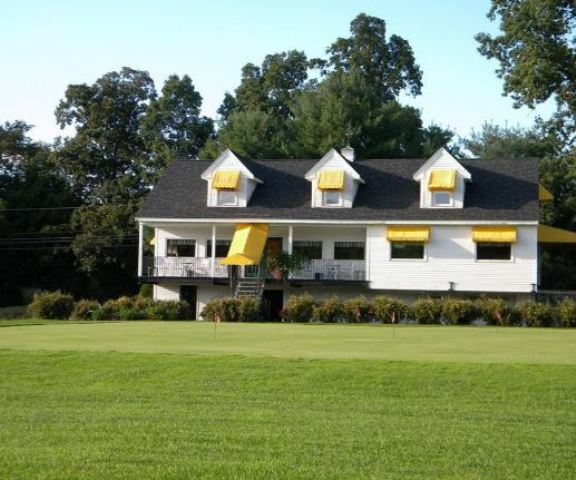 The Amesbury Country Club was founded in 1922 when the 110 acre Smith Farm on Monroe Street was purchased. 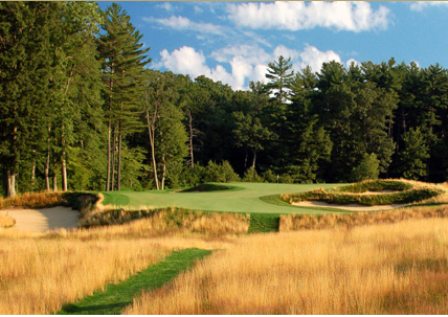 Wayne Stiles designed the picturesque nine holes and by 1924 the course was ready for play. 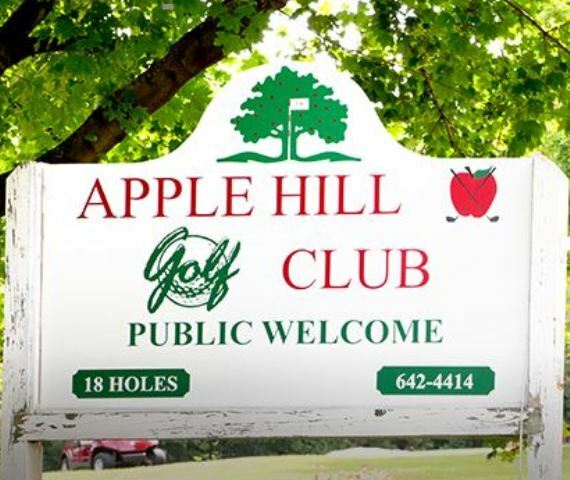 The course opened under the name Powder House Hill Country Club, but that name lasted only one year. The Powder House is located on top of a nearby hill. It was used to store shot and gun powder during the war of 1812. 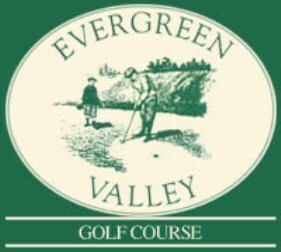 The club was member owned until 1960. It was opened to the public when purchased by the Mellon family, who continue to own and operate the club today (as of 2011). 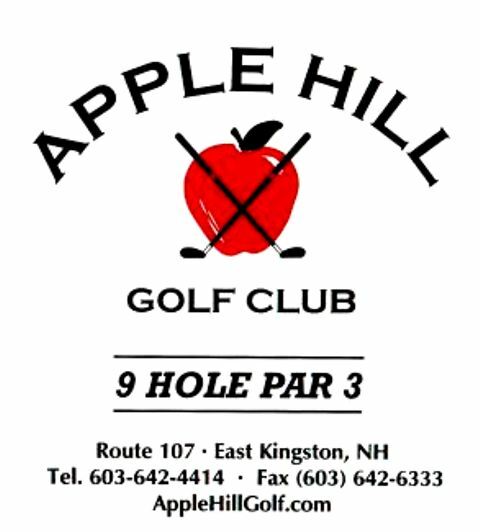 The view from hole number six was the inspiration for John Greenleaf Whittierâ€™s poem entitled â€œThe Fountain.â€ It is based on the spring on the 6th hole and the view from the top of the hill. Par for the course is 35. From the back tees the course plays to 3,150 yards. From the forward tees the course measures 2,700 yards. The longest hole on the course is # 5, a par-5 that plays to 530 yards. The shortest hole on the course is # 8, a par-3 that plays to 181 yards from the back tees. 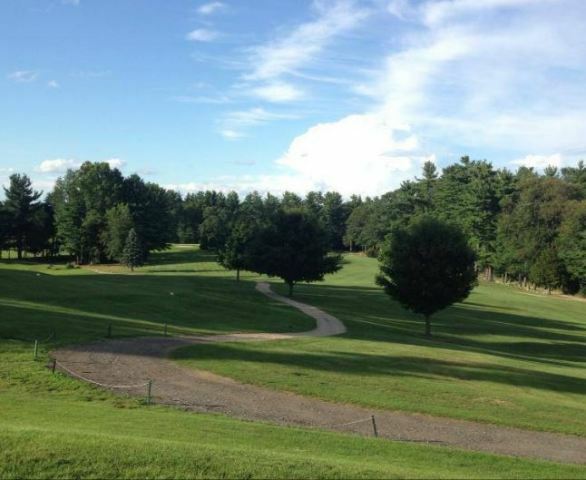 Watch out for # 7, a 414 yard par-4 challenge and the #1 handicap hole on the course. 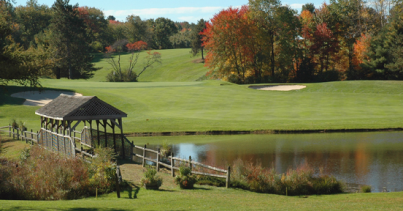 The easiest hole at Amesbury Golf & Country Club is # 2, a 230 yard par-3.